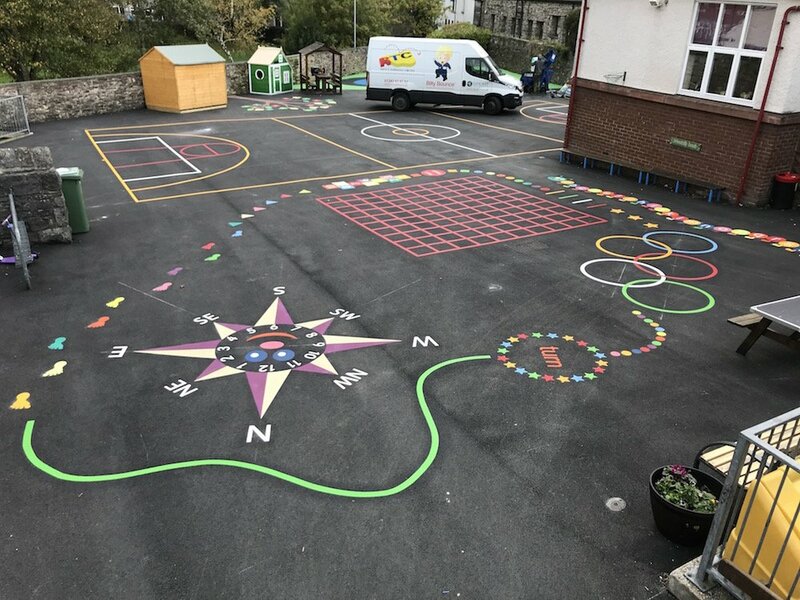 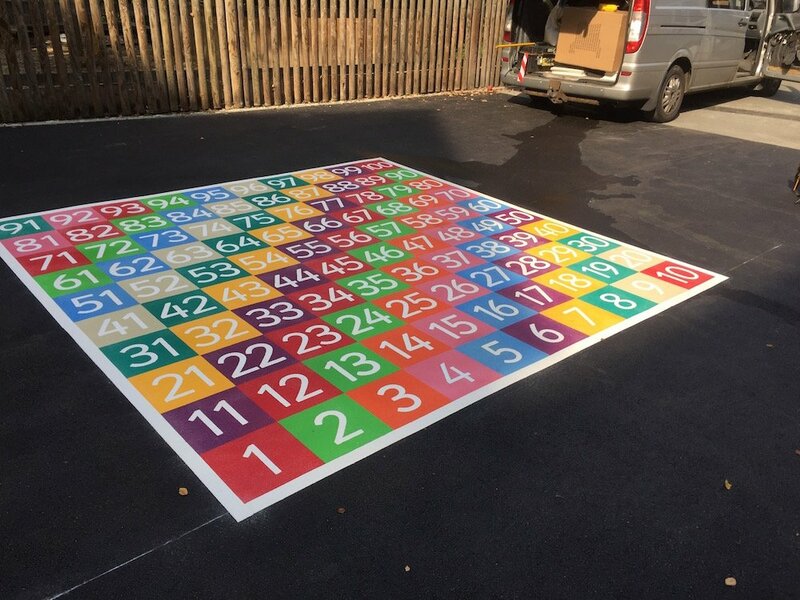 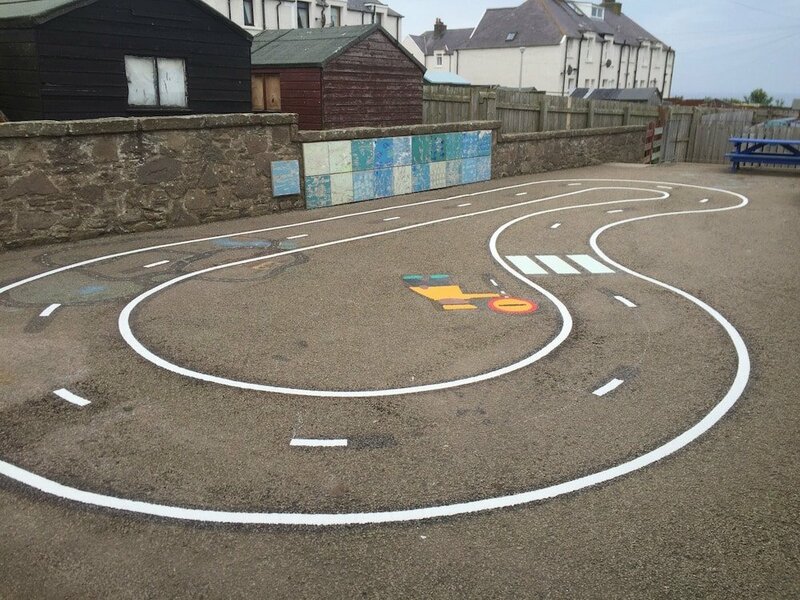 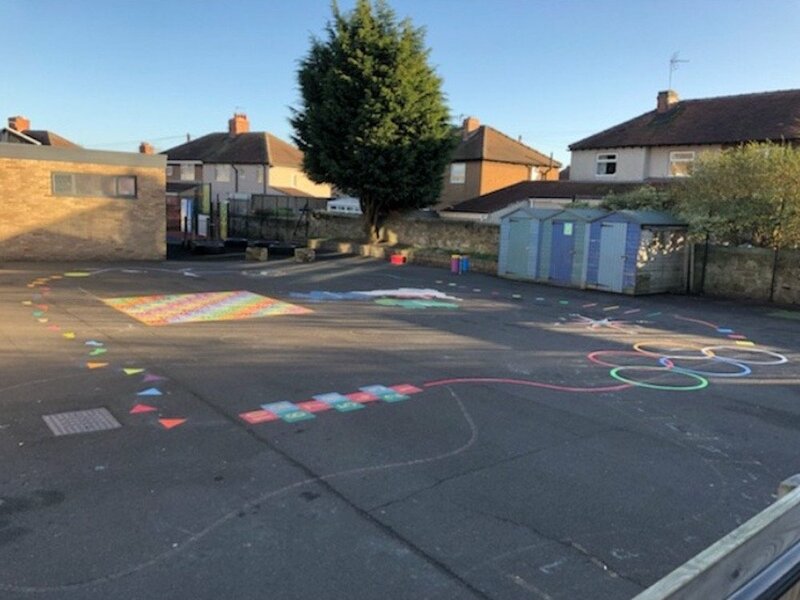 first4playgrounds installation team recently completed a range of Thermoplastic Playground Markings at a Primary School in Inverurie, Scotland. 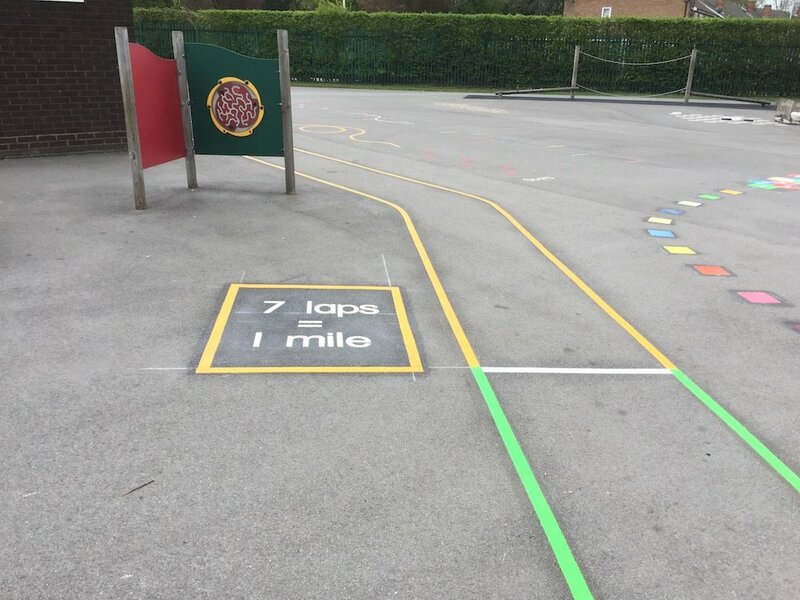 Next, the team installed these jump lines. 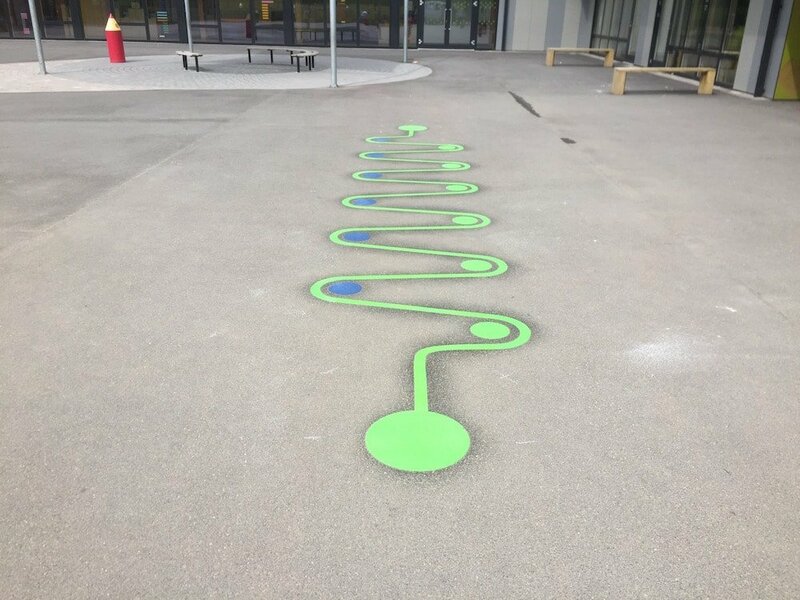 The Jump Lines are a game for children to practice throwing and catching. 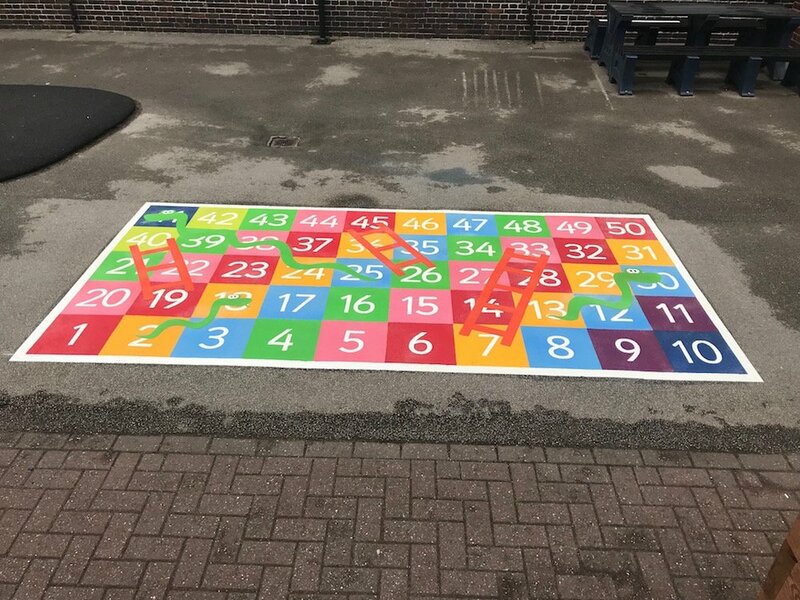 The children stand on the circles and pass a ball diagonally to the next person who passes it on. 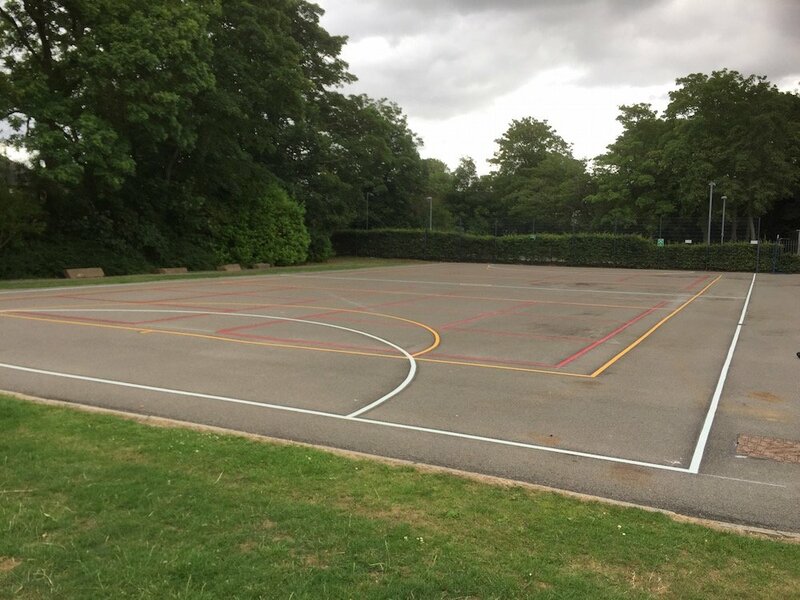 It can be used as a netball practice in PE as well as during break time where the children can make their own games up. 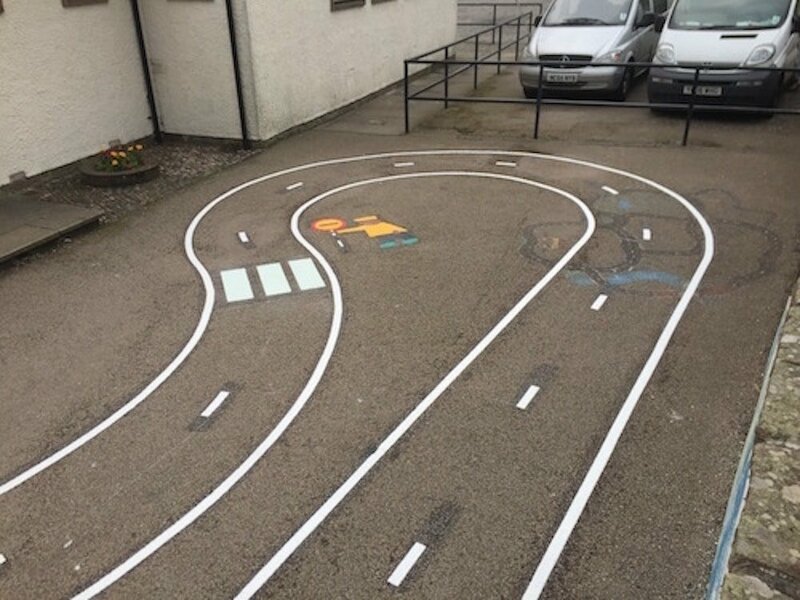 Lastly, the team installed this Cycle Track. 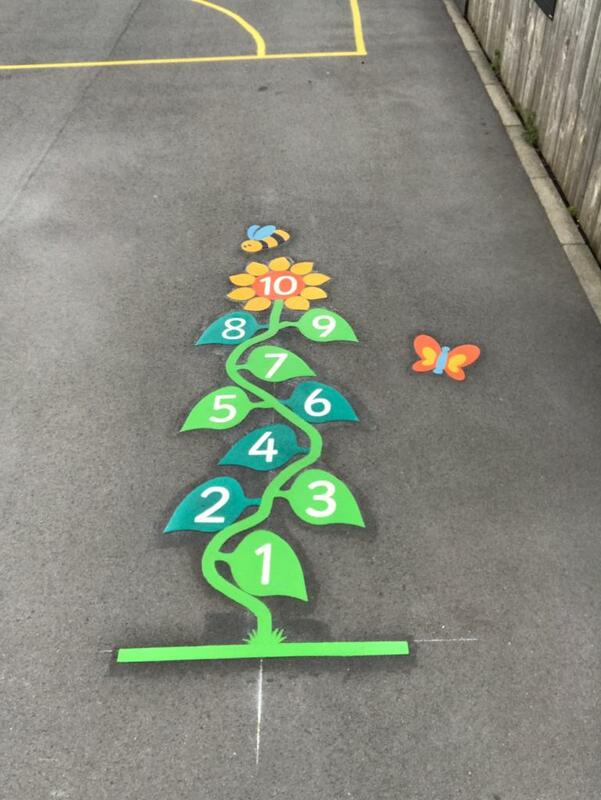 This was bought alongside a Lollypop Man.